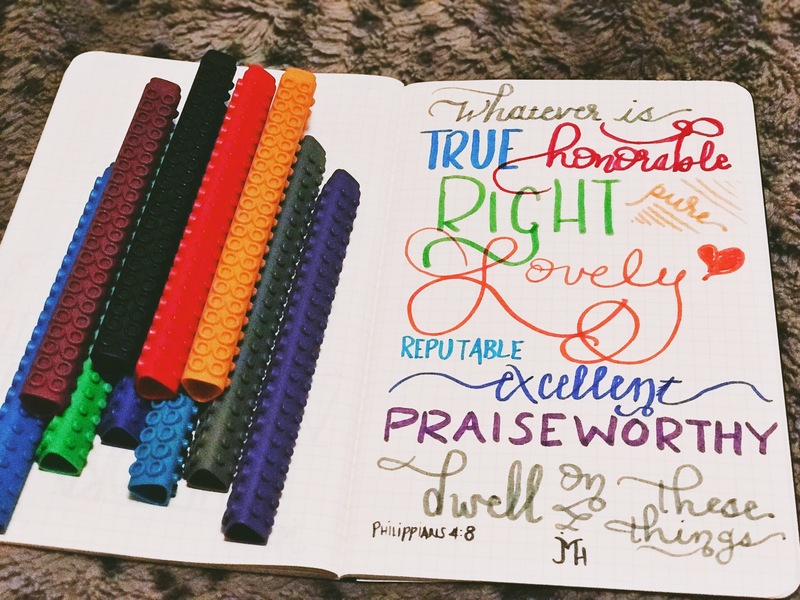 What a great way to end the 30 Days of Bible Lettering challenge! I needed this reminder. What do I let my mind dwell on? Do I focus on what matters most for eternity? Or do I waste my brain cells and spiritual heart muscle on things the world calls good? Dwell on the things that honor the Lord and best serve others in love. Serve the Lord with your heart and mind. Live passionately for God’s glory and the ultimate good of others. Meditate on God’s beauty and loveliness. Give people reason to see you as honorable and of good reputation so that God gets the glory. Pursue excellence in all things. Set your mind to dwell on these things.